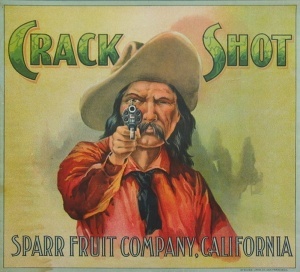 The Crack Shot label is one of the most coveted by collectors of citrus labels. It is an ultra rare label from the turn of the 20th century depicting a figure out of the old west. The image first appeared as a tobacco lug box label in the 19th century.